Made from Stainless Steel and Other Premium Corrosion Resistant Materials. Built-In Security Device That Switches the Motor Off Incase of it Overheating. 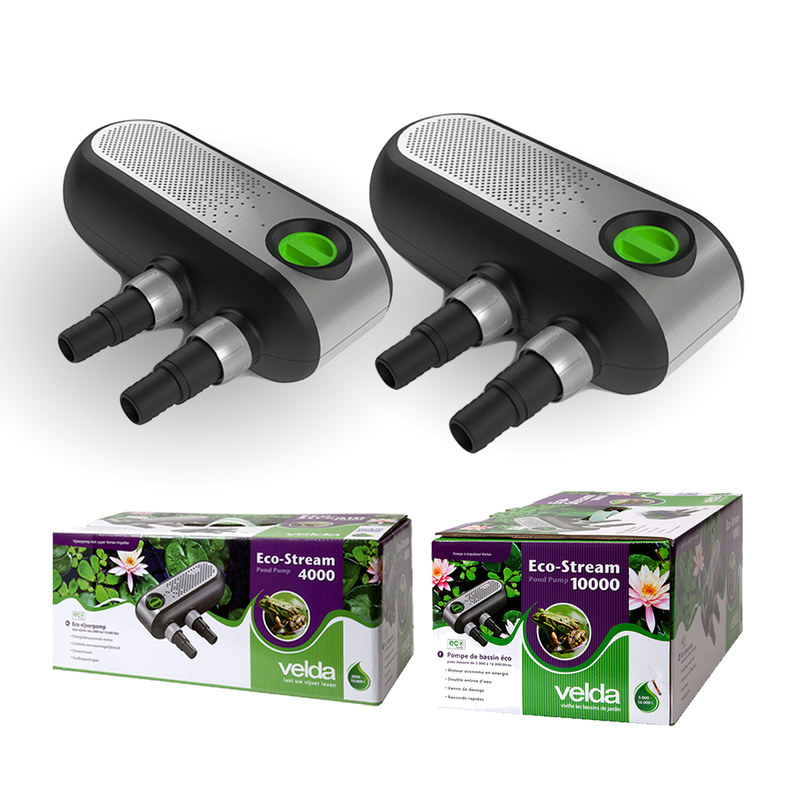 High Performance Pumps, Ideal for Larger Pond Filter Systems & Water Displays. 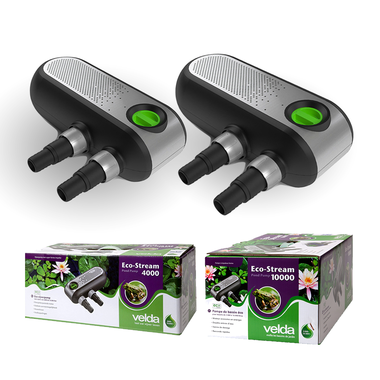 The Velda Eco-Stream pond pumps are produced using the latest insights and technical developments in the field of energy conservation, ranking among the best pond pumps in the world. The highly economical asynchronous motors combine high capacity with low energy consumption, making this pump very Eco friendly and energy efficient. The motors have a thermal safety feature which is entirely sealed off from the water. Along with the bearings being ceramic, the pumps are made from stainless steel along with other corrosion resistant materials to secure a long life time and increased durability. The high capacity of the Eco-Stream pumps mean that they are highly suitable for use in combination with pressure filters or for creating impressive water displays. The Eco Stream features an adjustable twin inlet allowing you to draw water from 2 different sources, perfect for use with a surface skimmer. All pumps are equipped with a Super Vortex Impeller. This special impeller combines large water capacity with the ability to move dirt particles up to 6mm. The pumps have been put in specially constructed housing, so that the coarse dirt particles cannot penetrate into the impeller room. A - Through the perforations in the housing. B - Through the secondary hose socket on the infeed side. 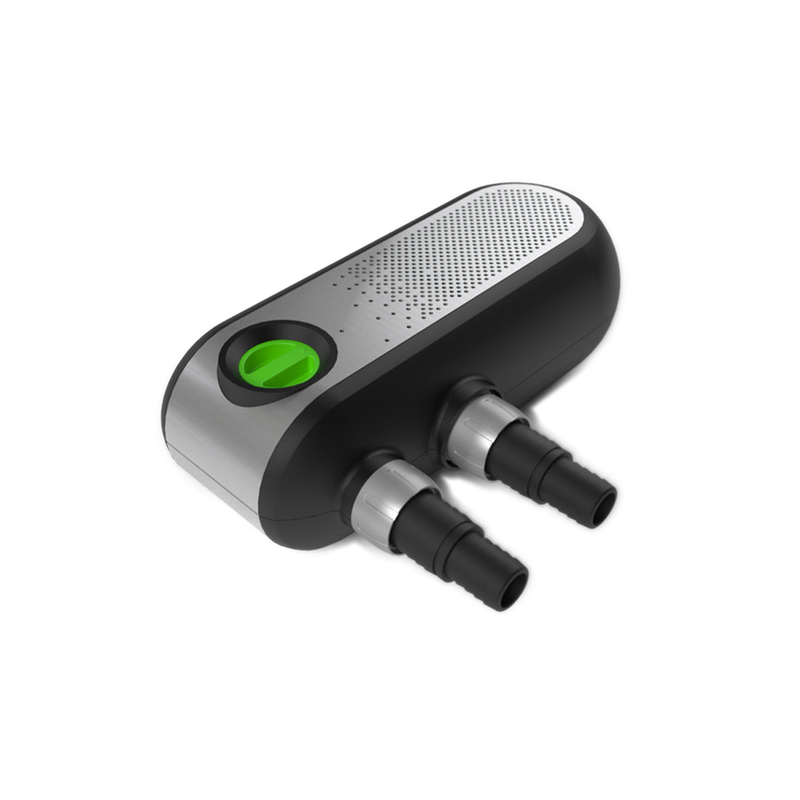 Owing to this double water supply the Eco-Stream pump can be used to supply water from a different source, for example a surface skimmer or preliminary filter. Using the control knob on top of the housing, the quantity of water from each source can be controlled. 1. Adjustable knob position = Closed: all the water will be drawn in from the internal inlet within the pump housing. 2. Adjustable knob position = Open: All the water will be pumped from the secondary external inlet (can be connected to a surface skimmer for example). 3. 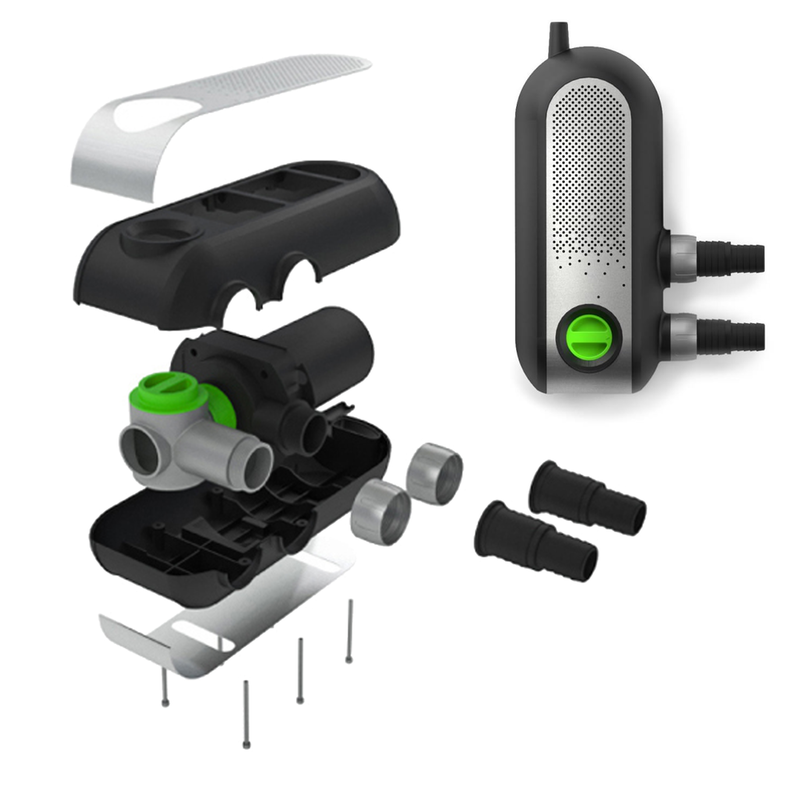 Adjustable knob position = Half Open: The water will be pumped equally through the internal and external inlets (the flow rate between the 2 is adjustable).